It’s 2014 and the Priest is back! Normally a phrase that would generate considerable excitement at HMO Mission Control but following the disappointing Nostradamus, the departure of the legendary KK Downing and a few uninspiring advance tracks I couldn’t help but feel sceptical about their return. But I was kidding myself. On the day of release I headed straight to Fopp to get my hands on it. Despite my renewed enthusiasm for their return, on my initial spin I still couldn’t shake off the feeling that I shouldn’t have bothered. 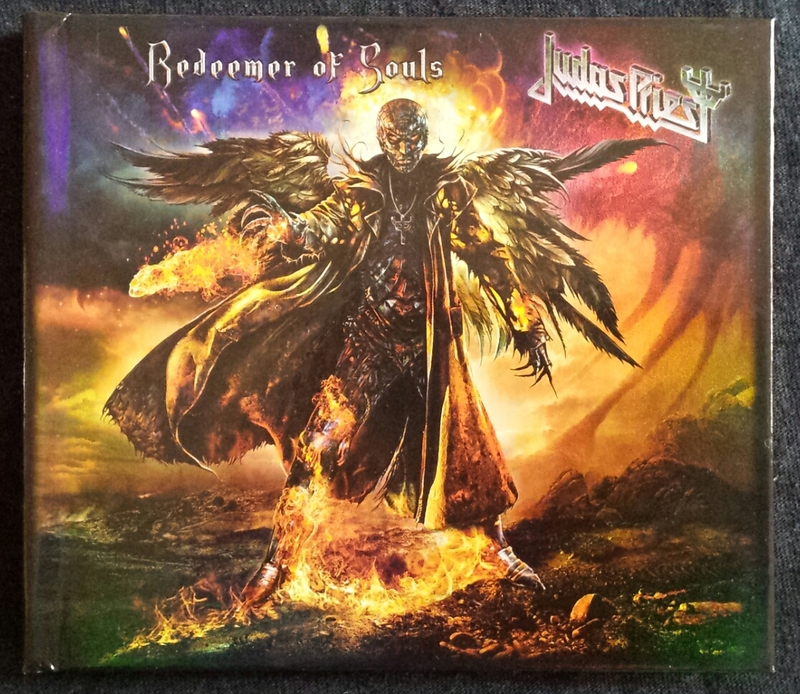 Dragonaut and the title track kick off Redeemer of Souls in a fairly routine manner. Both are enjoyable enough but a touch flat. It’s not until Halford screams his way into Halls of Valhalla that the album hits its stride. From here on it’s a long set of varied and solid Metal with the boat pushed out just enough to keep things moving forward without losing the trademark Priest identity. Sword of Damocles introduces a Maidenesque rhythm and its slashing climax is one of the album’s highlights. Cold Blooded is tightly coiled, moody and intricate and Crossfire’s bluesy riff works as a nice change of pace even if it’s a bit unimaginative. The Metal God delivers the goods on every song: he’s unable to shatter the windows like he used to but he always had more strings to his bow than that and any singer of any age would be proud to sing like Rob does in his sixties. The main album climaxes with Battle Cry, a charging riff-fest with rousing, soaring vocals before it finally cools down with Beginning of the End, an atmospheric and sombre ballad. And, barring the very last song Never Forget (an uncomfortably twee last-dance number), the bonus disc is impressively strong too. I can understand why the bonus tunes didn’t fit stylistically on the main album but they are great songs: tough, dynamic and catchy and pleasingly redolent of the bands early-80s output. It’s a lot to take in and it’s not without its faults. New guitarist Richie Faulkner plays well but I don’t feel either his or Glenn Tipton’s solos push the excitement levels like they should. The length and muddy sound also make it a tough album to absorb. Many songs like March of the Damned and the title-track have stock riffs and lyrics and are too reined in for their own good, creating a worry that the album might prove to be a little disposable. But after repeated listens and dividing the album into manageable chunks I find it growing on me listen by listen. 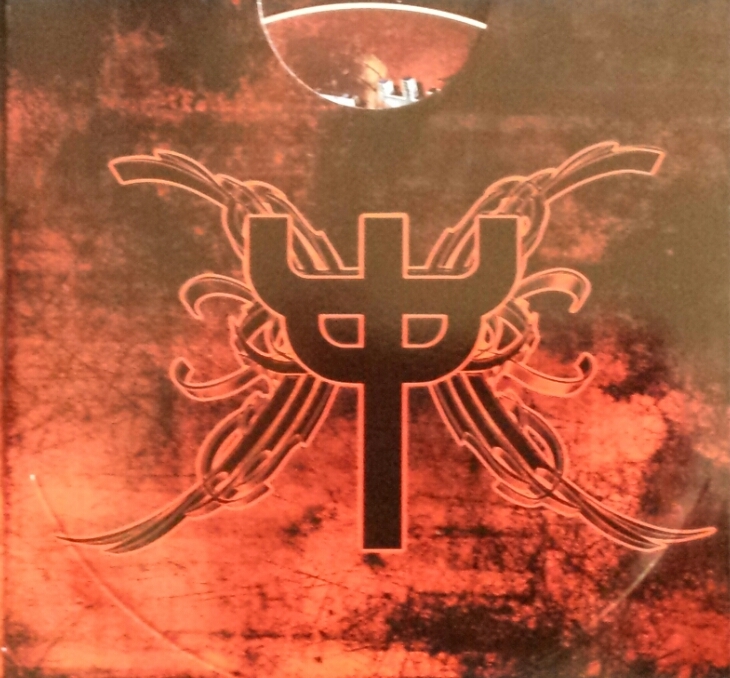 Ultimately, Priest have delivered a strong album for this era and held their own in a competitive climate of strong releases. And, more importantly, it sounds like they have enough gas in their tank to suggest there could be more and better yet to come. Thanks A. I’m glad it came across as positive. I’ve been enjoying it a lot but with caveats… I was worried that the caveats might make the review seem too critical. But the fact is, I’ve been pretty hard on this album and it has still passed the test. You should definitely buy it unhesitatingly! I’m really appreciating reading your reviews, and Mikes’s, and all the ensuing comments. I’m far from a Priest expert, and when I initially saw it coming out I thought ‘hey maybe I should snag that!’ but I waited for the reviews because if it sucked major goat balls, you guys would have said and I could have avoided it. But so far, the short-range forecast is for saving pennies with a confident purchase in the very near future. This has been staff meterologist I.P. Nightly, author of Rusty Bedsprings. Cool. Well it definitely didn’t stuck major goat balls. I thought it was going to though. Just make sure and don’t miss out on the 2CD version. You definitely want those bonus tracks. Oh yeah, it’s a difference of $3, so the bonus tracks are a no-brainer. I noticed you got yours for £15.99, which is $29.36 here!! Man, the 2CD version here is $16 (£8.71). Even with shipping, it might’ve been cheaper for me to get you one! I’ll need to keep that in mind for future. I do hate waiting though! My lovely wife was just up to Mall-Wart to get diapers, and said the 2CD was $15.97. That’s £8.70. So call it $20 including mailing out in a little bubble mailer, and that’s only £10.90. As for the waiting, the boys in the canoes are usually pretty damn good, as we’ve discovered. Anyway yeah, check out local prices (like amazon.ca) and compare, It may well be worth it for me to get something for you. I certainly have no problem hooking you up. So, when she got home, I asked my lovely wife, ‘How come you didn’t buy it, then?” She just rolled her eyes and said all I’d asked for was the price, which was technically true. I’ve seen written elsewhere that it harks back to 80’s Priest, which makes me want to buy it…but the three tracks I’ve heard so far haven’t totally grabbed me…maybe they’re growers…having said that, I loved ‘Nostradamus’! The tracks on the bonus disc remind me of the 80s stuff. The main album not so much. The three tracks I’m guessing you’ve heard are probably some of the least exciting on it if that helps! They do grow on you though. Nostradamus just didn’t grab me at all but I think, now I’m in a Priest mood, that it’s due another spin. Mike’s two part review is well worth reading if any of you haven’t already. Are there any albums you’ve reviewed when they were new but then totally changed your mind later? Good art from Mark too. I like how it looks on the case too with the shiny bits. You’re just a gazza ladra! Haha I was going to say earlier that the cover could do with some magpies! 1. I like your phrase “tightly coiled” to describe “Cold Blooded”. Well played! 2. One interesting thing — you approached it in small chunks for your best listening experience, where I tended to devour it whole when I had the opportunity. Not a comment on “right” vs. “wrong” just an interesting observation — clearly the album works for people in different ways. 3. This is expensive over there! $16.99 here for the exact same package. I found it a bit indigestible at first. I tend to split it up into three bits. Two halves for the main album and listen to the bonus disc on its own. That said I listened to the whole thing yesterday and enjoyed it all. It’s still growing on me too. Secrets of the Dead stood out now when it seemed like filler before. Thanks for the review! Sure I will buy at some point begrudgingly as of now…regardless of the review…which I trust! It’s definitely better than I expected. I’m sure you’ll enjoy it. I think the test of time will decide what I really think of it though. Cool, there were a few really good tunes on Nostradamus. But don’t think that album stood the test. As you said time will tell. I really need to dig out Nostradamus again! The test of time is the ultimate test. I’m hoping the new album will last, I still hear new things to like every time I stick it on so that’s pretty promising. You know HMO I’m wondering since everyone is in agreement that that since the bonus tracks sound like old Priest perhaps they are songs that were hatched back than and than torqued up and polished for this new release ? This one is a slow grower but one that you can really get into from each repeated listen. Great review also…between yours and Mikey Priest should at least go gold from people posting(hello Aaron!) that are gonna get this album from you guys and your reviews! Hahaha…..good to see u reading all the posts! Well that says it all….